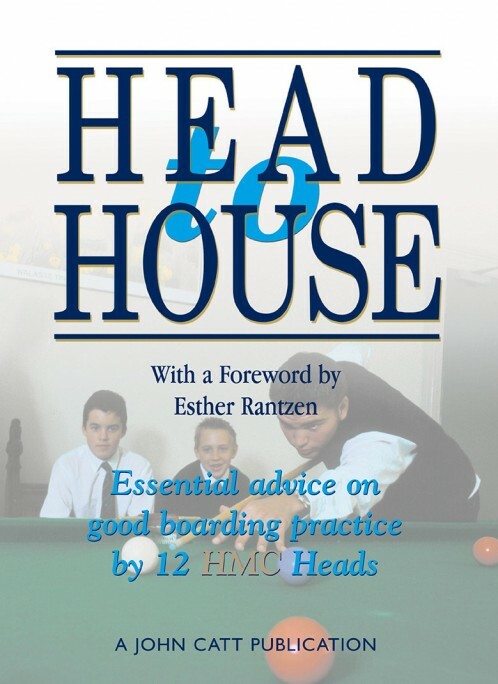 Essential advice on good boarding practice by 12 HMC Heads, with a foreword by Esther Rantzen. Edited by Vivian Anthony and Charles Bush. Running a House these days requires great resilience of body and spirit. It is not for the self-indulgent or the fainthearted. But the rewards, in terms of personal and professional fulfilment, for such close involvement with the development of young people, are as great as ever, and for many mark a satisfying culmination to their teaching career. Besides, there is a far greater recognition now of the need for careful training, induction and continuous support. This volume itself bears witness to that. There is a fund of good advice to be found in this series of chapters and we are grateful to Heads who have given time to contribute their wisdom as well as their light-hearted reminiscences. It is clear that no one remains unaffected by the experience of living in a boarding House and just as the lives of children who experience the delight of full boarding are wholly changed, so too are those who are entrusted with the responsibility of care. The ‘total community’ of the boarding environment causes great richness and diversity of experience. The author(s): Edited by Vivian Anthony and Charles Bush. Contributors: James Sabben-Clare, Nick England, Alison Willcocks, Jonathan Leigh, Stephen Winkley, Ian Power, Tony Little, David Gibbs, Anthony Sutch, Tony Millard, Michael Mavor, Edward Gould, Vivian Anthony, Roger Morgan, Charlie Bush.